Episode 83 – Random Dice Roll Clone Wars Good Times! This week Jason & Gabe came up with the great idea of talking about a couple of random Clone Wars episodes and to pick which ones they rolled some dice and.. let fate decide…. Gabe got season 4’s Kidnapped episode and Jason got season 5’s A Test of Strength. 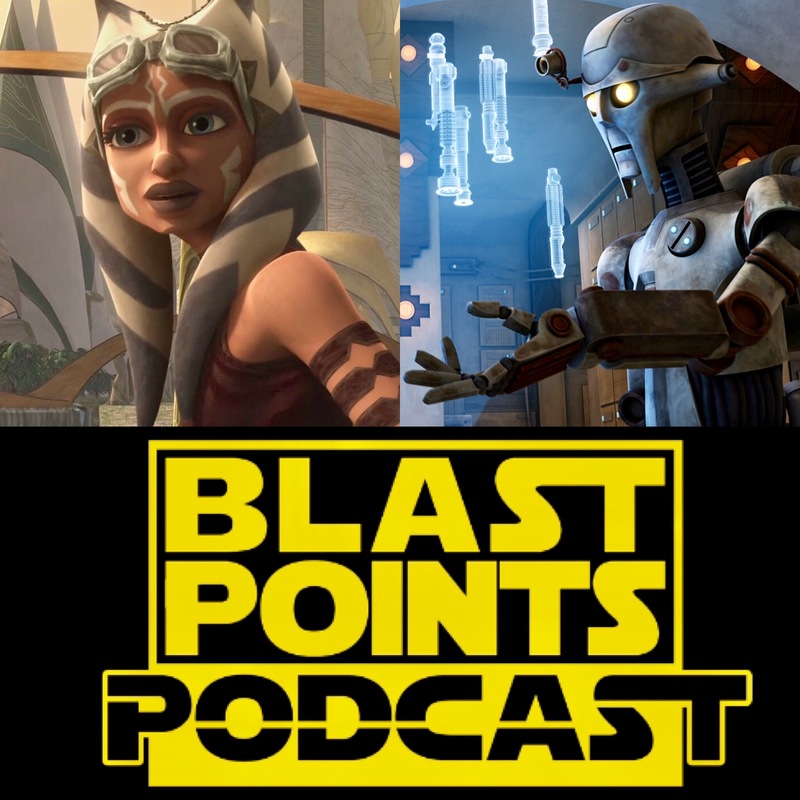 Join them as they get into both great episodes with talk of the best moments, the interesting history they both share and how amazing Clone Wars still is! Before all that though they go over how Ron Howard is now the king of the Star Wars internet, all the crazy last Last Jedi stuff happening and the info that came out out the massive San Diego Comic Con AND there’s talk and how Rogue One just keeps getting better and better. 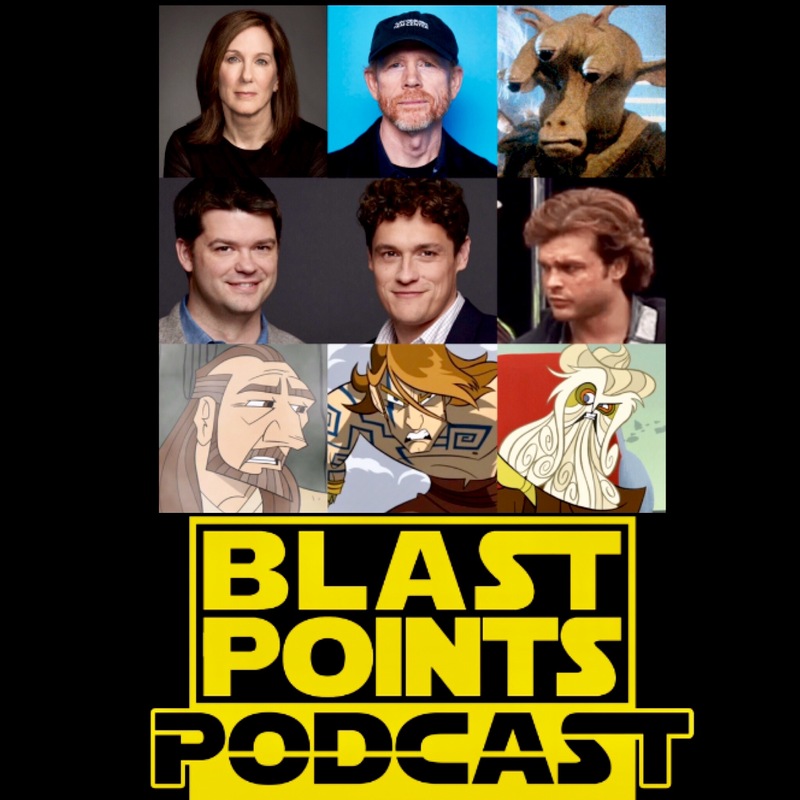 So put on your goggles, get on you speeder bike with a rancor head sidecar, celebrate the love and listen to Blast Points today! Any interesting Star Wars stuff happening recently?? YIKES! Star Wars break ups and shake ups are going down & Jason & Gabe from BLAST POINTS are here to break it all down and try to make sense of it all. From the Han Solo movie’s interesting history, last year’s Celebration Europe panel, what movie in Ron Howard’s past may make him perfect for the job & more. Jason & Gabe debate what it all means for the galaxy far far away and why you maybe shouldn’t freak out. PLUS, Lord & Miller aren’t the first folks whose Star Wars vision got swept away. Jason & Gabe look at the final chapters of Genndy Tartakovsky’s vastly underrated 2005 Clone Wars cartoon. What happened and why are these episodes so good? Join them as they do in depth on the chapters that led directly into Revenge of the Sith! As if that wasn’t enough, Jason’s daughter Agnes interviews the author & illustrator of the new Jedi Academy kids books, Jarrett J. Krosoczka! From A New Class to the upcoming The Force Oversleeps, his books are amazing and Agnes asks him the hard hitting questions! So grab bearded snake man, site creative differences, call Ron Howard and celebrate the love with BLAST POINTS! !